Philadelphia Flyers president Paul Holmgren has been named the assistant general manager of Team USA for the 2016 World Cup of Hockey. 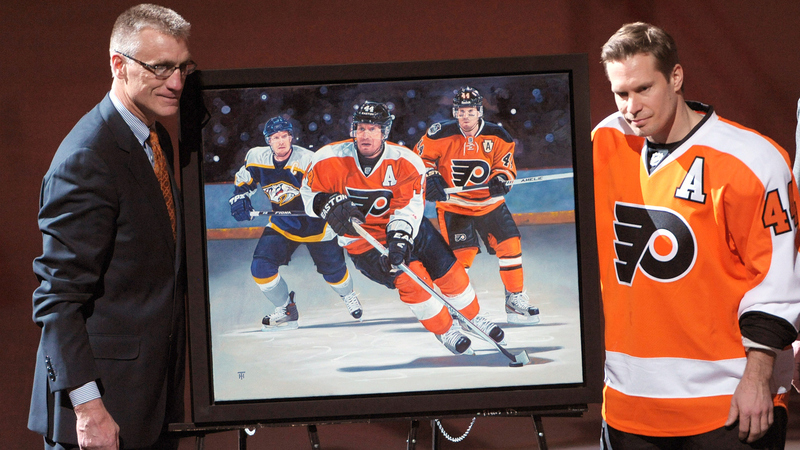 Holmgren is entering his 37th season as a member of the Flyers, and second as team president. The 59-year-old served on the United States Men’s National Team Advisory Group from 2008-14 and was the assistant general manager of the 2006 men’s hockey team. Dean Lombardi, who is the president and general manager of the Los Angeles Kings, has been named the GM of Team USA. Brian Burke, the president of hockey operations for the Calgary Flames, was tabbed as a senior advisor and Jim Johannson, assistant executive director of USA hockey, as director of hockey operations. The 2016 World Cup of Hockey, which is scheduled for Sept. 17-Oct. 1 in Toronto, will return after 12 years of dormancy. Canada won the most recent World Cup of Hockey in 2004, with the final held in Toronto. The tournament will consist of seven other teams: Canada, the Czech Republic, Russia, Finland and Sweden will all be represented, and, in addition, a Team Europe and North American Youngstars team will finalize the grouping.